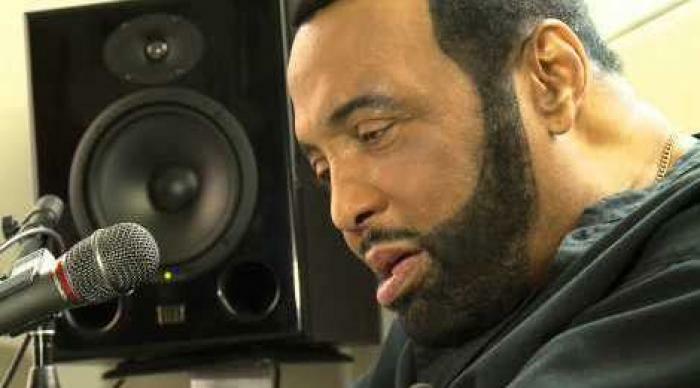 Arguably, the most prominent name attached to Gospel and contemporary Christian music, singer, songwriter and performer Andrae Crouch has died from a massive heart attack at the age of 72. Battling health issues in his later years, such as cancer and diabetes, Crouch beat dyslexia to find success in both the Christian and secular music worlds. Andrae Crouch along with his sister, Sandra Crouch, lived in the Pacoima area of Los Angeles. LOS ANGELES, CA (Catholic Online) - The winner of seven Grammys, Crouch's career spanned more than 50 years. A native Californian, Crouch wrote his first gospel song at the age of 14. Debuting in 1960, Crouch arrived at a time when Christian and devotional music sought crossover appeal with other listeners. He was one of the architects of the "Jesus Music" movement from the late 1960s and 1970s. St. Cecilia, patroness saint of musicians, is honored in this beautiful holy card! Battling health issues in his later years, such as cancer and diabetes, Crouch beat dyslexia to find success in both the Christian and secular music worlds. The author of countless songs, his hits included gospel favorites such as "The Blood Will Never Lose Its Power," "My Tribute (To God Be the Glory)" and "Soon and Very Soon," which was sung at a public memorial to Michael Jackson. Crouch had worked with Jackson previously on his hit single "Man in the Mirror." His choir, The Disciples, sang background for Madonna's song "Like a Prayer." Crouch's success bled over into the secular music world. Elvis Presley performed his song "I've Got Confidence" for a 1972 gospel album, and Paul Simon recorded "Jesus Is the Answer" for a 1974 live album. Crouch had also worked with such luminaries such as Diana Ross to Ringo Starr. His gospel albums sometimes featured performers from other musical genres. His 18th solo album, "The Journey," released in 2011, featured Chaka Khan, Shelia E., Take 6, Kim Burrell and Marvin Winans. Crouch was one of a handful of gospel performers to have a star on the Hollywood Walk of Fame. It overcoming dyslexia, Crouch told reporters that "I memorized everything through sight, the shape of the word . Some things that I write, you'll see a page with cartoon pictures or a drawing of a car - like a Ford - or a flag. I still do it on an occasion when a word is strange to me. January is National Health Month -- come help us celebrate! Crouch along with his sister, Sandra Crouch, lived in the Pacoima area of Los Angeles. Both were pastors at the New Christ Memorial Church in the Los Angeles suburb of San Fernando. Crouch's life was not completely without scandal. He was arrested in Los Angeles in 1982 for possession of cocaine after being stopped for erratic driving. Sheriff's deputies discovered a substance in the vehicle, which Crouch said, was instant chicken soup powder. After consenting to a search, he was found to be carrying a vial of cocaine in his pocket. Crouch was arrested and released several hours later on $2,500 bail, maintaining the drugs belonged to a friend who had been staying in his apartment. Police declined to press charges.